I am a huge believer in the power of gratitude. Being grateful for the infinite blessings in your everyday life makes you happier and, in turn, makes those around you happier. 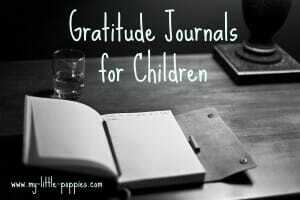 But, how do we attempt to instill gratitude in our children? And, how do we get our kiddos to write those thank you notes when the Christmas toys or birthday presents are still calling their names? We have involved our children in writing thank you notes from the beginning. They have never known any different: If you receive a gift, you thank the person who gave it to you. 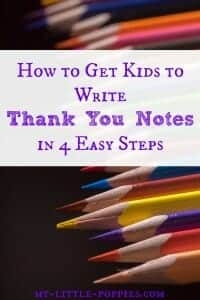 Here are some tips to help your children write thank you notes. Children are little sponges and if they are raised in a home where gratitude is valued, they will absorb this sentiment. We talk about gratitude daily, and model gratitude for our children. This goes beyond simply saying thank you when it’s warranted, although certainly that is important, too. We discuss the “highlights of our day” when we are saying our nightly prayers, “highlights” are the things that happened for which we feel especially grateful. But we all know our days aren’t filled solely with highlights, right? We attempt to reframe those negative thoughts throughout the day in positive, more thankful terms (although, admittedly, I still need help doing this with laundry). In addition, our children each have a gratitude journal which they write and/or draw in each evening, before we say our prayers. Gratitude instills kindness and the desire to give back. In my world, it is wonderful to be funny or smart or creative or athletic, but kindness trumps them all. Young toddlers can decorate thank you notes with stamps, stickers, finger paints, and crayons. Older toddlers can draw a picture and then tell you something about it, which you can then dictate the note. Preschoolers can draw a picture of themselves using the gift and dictate a message to you. 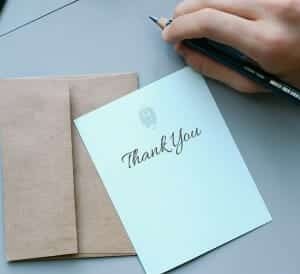 Early writers can use a fill-in-the-blank thank you card format (Dear ______, Thank you for _____.). Older children can assume most of the responsibility. Leo loves stuffing and sealing the envelope, placing the stamp, and addressing the letter himself, it provides him with a feeling of ownership and some responsibility. No matter what age your children are, let them mail their letters themselves! Step 3: Make the process fun! You saw our holiday craft-palooza, right? Well, I do the same thing with thank you cards. I throw a drop cloth over our dining room table, cover it with oodles of art supplies, and let my kids have at it. 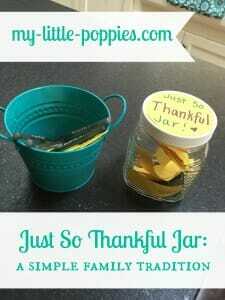 This helps them to view thank you notes in a positive way, rather than as something they have to do. Art makes everything fun! Looking for a place to start? 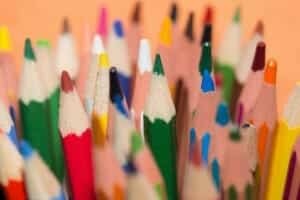 You can read about how we promote creativity at home here. I do not expect my children to complete all of their thank you notes in one day. We start early and do little bits at a time. I leave the thank you note supplies out for several days to a week. Writing a few thank you notes at a time can be enjoyable for kids if you let them get creative in the process. Looking for a place to start? Read about our holiday craft-palooza here. Our thank you note set-up is quite similar. Folks, I have never in my life received so much positive feedback on holiday cards! It just goes to show that in this age of texts and e-mails and tweets, people still adore old-fashioned snail mail. So, tell me… how do you instill gratitude at home? Please share your ideas here so that we can all learn from each other as we prepare to enter a new year! Thanks for another timely post! 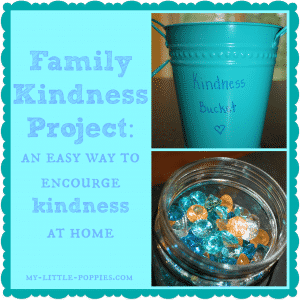 I planned for this tomorrow, and am sure my boys will love the crafty aspect you suggested. I hope it helps, Jen! We don’t let them play with the gifts until after the notes are written. Excellent motivation!! It also helps that we celebrate Christmas with separate families a week apart so we pace the note-writing. This never worked on me. I was the kid who said “If I’m going to have to write thank you notes I’d rather not get anything”.